I don’t know about you, but I love having friends and family over during the warm summer weather for cook-outs, games, great conversations and outdoor fun! And when it comes to wanting to relax and enjoy myself with everyone else, I’m always looking for easy recipes we can throw on the grill or that will be easy to prepare. One of those great stand-byes? Kabobs! Chicken, beef, pork, veggies, even desserts are great with this idea! They are easy to prepare, and if you want to add extra fun to the mix, create “build-your-own” kabob stations where your guests can mix and match until their heart is content before throwing those babies on the grill! 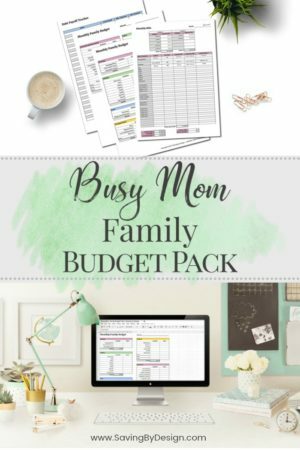 What a versatile, yet fun and easy menu for your next get together! 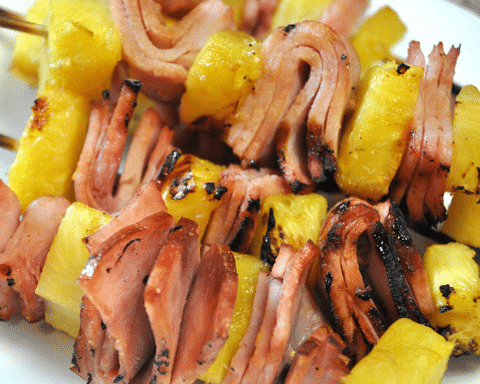 Mmmmm… Check out these Ham & Pineapple Kabobs! The recipe can be found at GoodenessGracious.com and I know that these are going to be something I can get my kiddos to eat this summer! Part of the great thing about making Kabobs is all of the different flavors you can bring out in your meats! 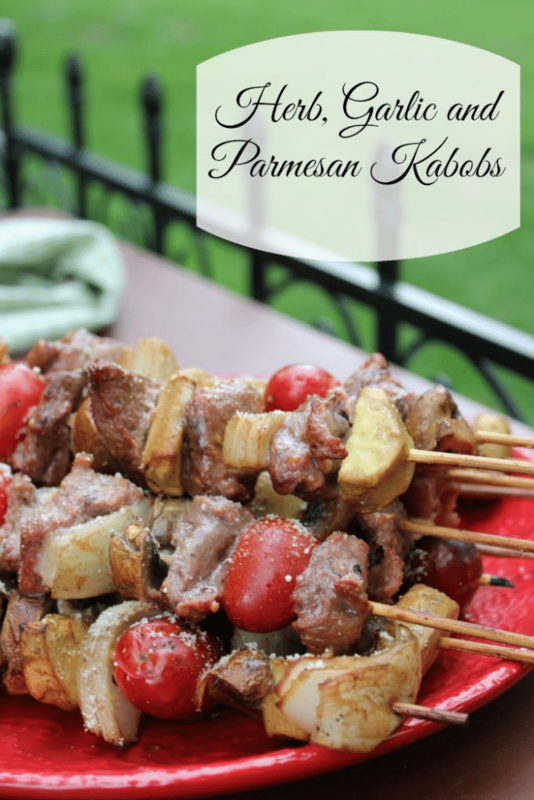 This Herb, Garlic, and Parmesan Kabob recipe from DomesticMommyhood.com is right up my alley and I can’t wait to mix these flavors together! This classic Chicken Tariyaki Kabob recipe was found at DamnDelicious.net and is one of those recipes that I can see myself using for a LONG time! 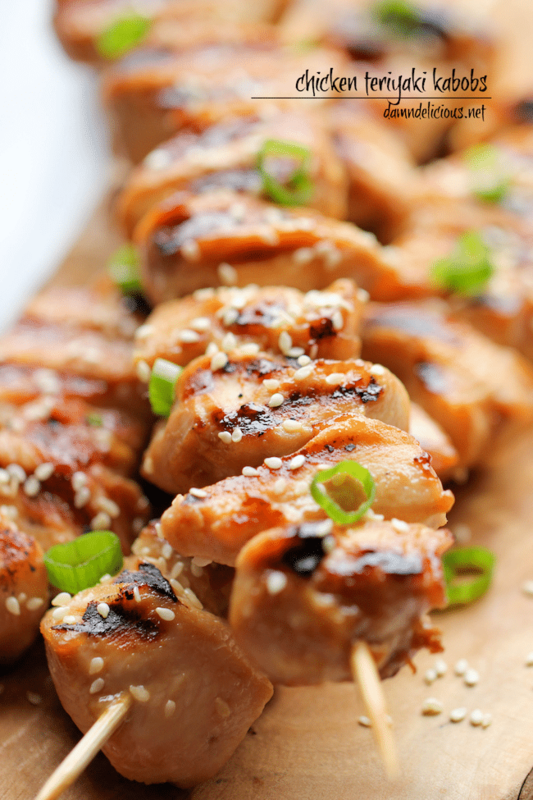 Nothing says “kabob” like a great tariyaki chicken marinade! When I see different recipes utilizing things that are in my Herb Garden, I melt! 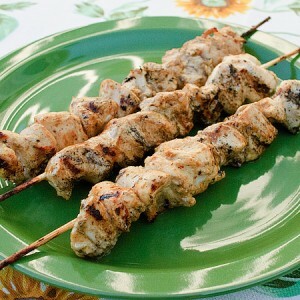 These Rosemary Ranch Chicken Kabobs were found at RealMomKitchen.com and I can’t wait to use some of my rosemary to freshen this recipe up! I’m a firm believer that NOTHING makes things taste better than fresh herbs from the garden! Looking for something a little different? 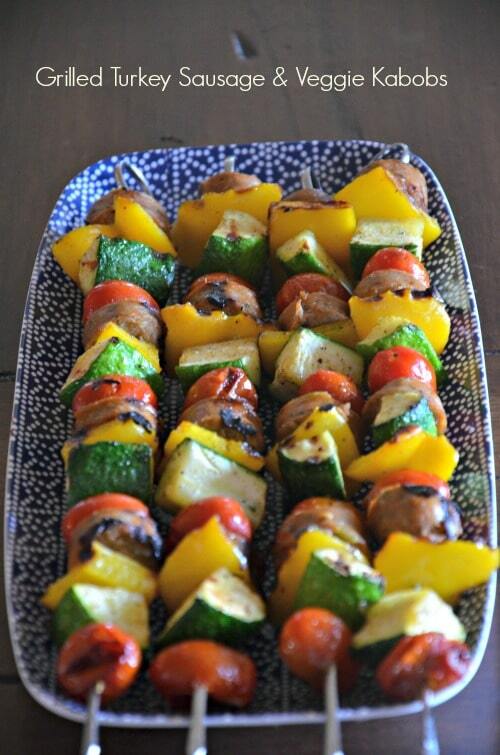 Check out this Grilled Turkey Sausage and Veggie Kabob recipe at MountainMamaCooks.com. I love how you can mix and match whatever veggies you might have on-hand with this one and the turkey sausage will mix well with those who want to stay a little more health conscious! 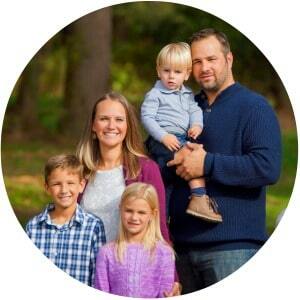 Looking for something that has a little…. kick?!?! Try this Five Spice Beef Kabob recipe from BHG.com! My hubby is already drooling over this one! 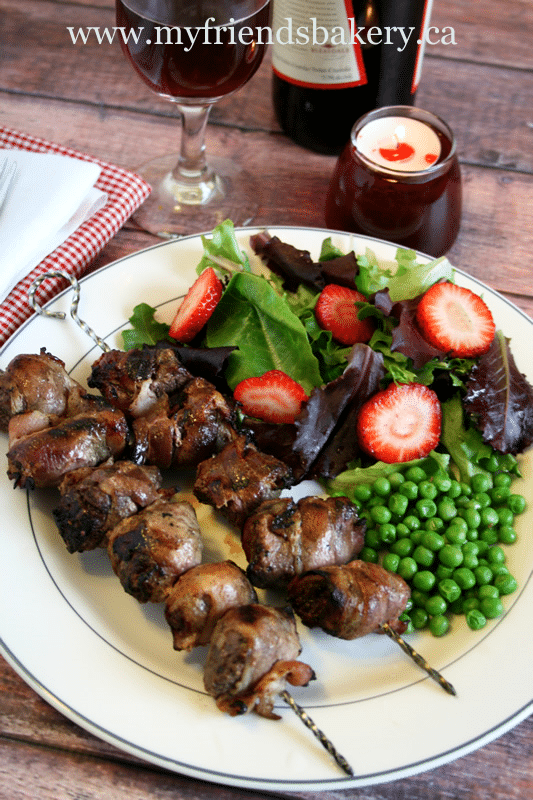 Bacon Wrapped Beef Kabobs sound like a pretty good way to spend a Saturday at a cookout to me! This recipe from MyFriendsBakery.ca/blog is sure to be a hit. I mean… things including bacon are always a hit in my book! Looking for something different from chicken or beef? 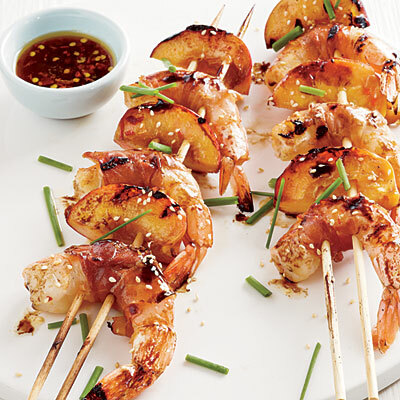 How about these Honey Shrimp Kabobs from CoastalLiving.com? Man, these look like they would hit the spot and the sweet kick of honey sounds like the perfect complement! Yummy! Have a vegetarian in the house? No problem! 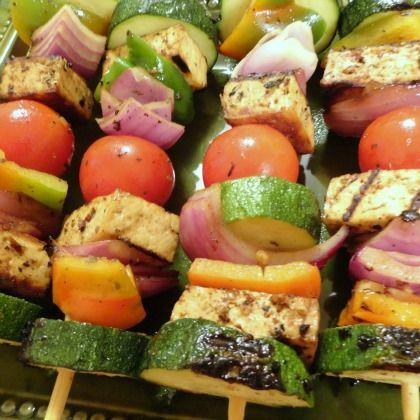 Try these Grilled Veggie and Tofu Kabobs from Spoonful.com. We don’t play favorites here! Duh… like we were going to forget dessert! 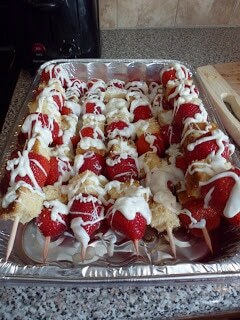 OMG… these Strawberry Shortcake Kabobs found at InspiredDreamer.com look ahhhhh-mazing! Homemade biscuits and everything! I’m pretty sure these will never have leftovers if they were made in my house! I can’t wait to try them out! And to top it off? White Chocolate Strawberry Cake Kabobs! WOW! TheInspiredCollection.blogspot.com has the recipe for this dream of a kabob dessert! My mouth is absolutely watering right now. I think it’s time to plan our kabob feast sometime VERY soon!!! Talk about a fun way to serve a meal! Hopefully you got a few great ideas for your next barbeque and while I love to do kabobs in the summertime out on the deck, this will work anytime of the year! 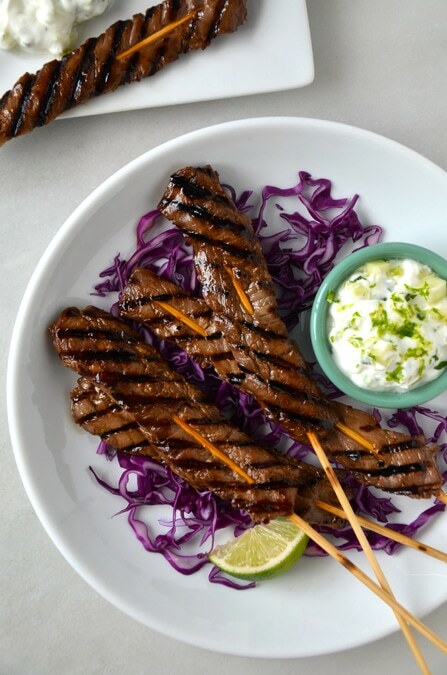 Kabobs are a great way to serve multiple types of food for those guests who may have picky tastes, while allowing you to not spend too much time in the kitchen. Enjoy!